Last week, I wrote about my experience in taking the photos for the cover of my first novel, State of Exception. This week, I am incredibly excited to share that cover with you all! I ended up not using any of my original ideas and went out a few days ago to shoot some different photos. It is original photography which means yes, I did stand out on the railroad tracks to take that picture. In fact, I had to wait for a train to pass by before I took this photo. Along with the photography, I did all of the photo editing and am pretty pleased with how the cover came out. 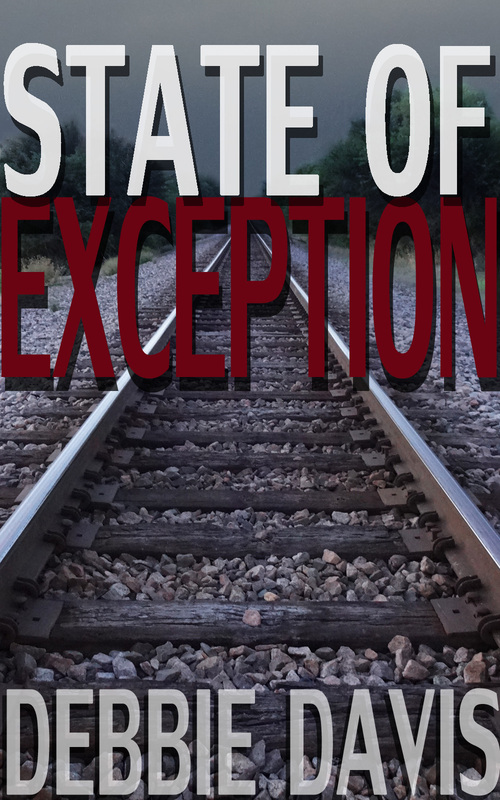 I am also happy to announce that the scheduled release date for State of Exception is Friday, July 18th. I will post updates with any new information about the release and can’t wait to share my work with everyone! This entry was posted in Cover Art, Photography, Photos, Photoshop, Publishing, Self Publishing, State of Exception on July 10, 2014 by literarychatter.